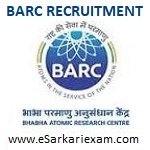 Eligible Candidates can Download BARC Scientific Officer C 2019 Exam Result at the Official Website of BARC. Applicants First Open BARC Online Exam Official Website. Click on Discipline Wise List of Candidates Shortlisted for Interview of OCES/ DGFS 2019 Link. Check Result by Using Name and Registration No.